I don’t think it’s too much of an exaggeration to say that Whampgather VII went quite well. 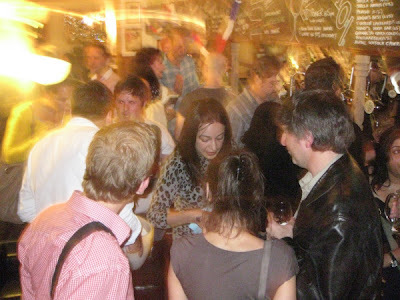 The hyperlocal cocktails went down a storm – we had #whamppunch, Kilburn Mist (my personal favourite), Made of Ale (geddit?) and an SJW with a touch of sparkle. DJ Sid Trotter did an outstanding job – even getting me onto the dancefloor, which as many of you (too many of you) will have realised is not something you want to see every day. Huge thanks to Lucile and Merlin at the Priory Tavern for making it such a great event. Thanks to everyone who bought raffle tickets – we raised £350 for The Winch, and a lot of that should be credited to Nicky who spent her evening brilliantly badgering you into buying them. Most of all, thanks to all of who you came and made it such a success. 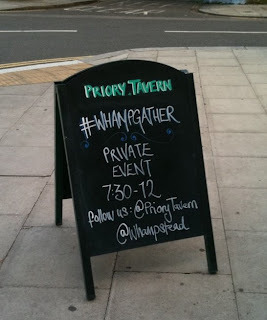 We had more #whampgather virgins at this one than we’ve had for a while, which is brilliant. 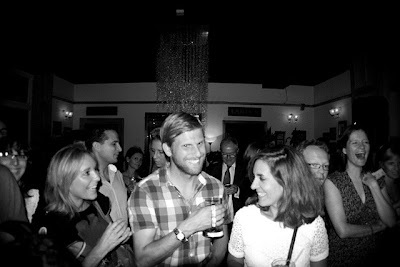 It was great to see everyone mingling and it seems like quite a few friendships were forged on the night. It’s worth keeping in mind that pretty much every single person at #whampgather (except for the flatmate or friend you might bring with you) has met at a whampevent. I know one or two people understandably felt that this was a big gang of people who already knew each other – and while it’s true that the group of us who have become friends has grown, this is how we all met so everyone recognises the situation. Enough prolesityzing from me. As always, the best people to tell the story of #whampgather are the people who were there. I could only include a small fraction of the tweets people sent about it, and it’s still a long ol’ Storify. But hopefully it rekindles some memories of a great night. 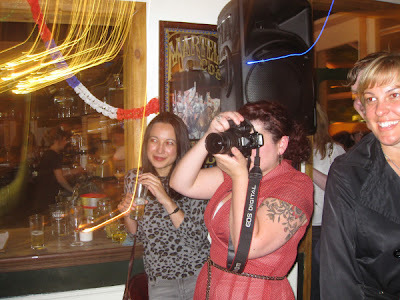 For more photos, go visit Lauren’s Flickr page, and for a pic of Lauren herself in action scroll to the end! [update: also check out Michael’s excellent pics].